Minister of Foreign Affairs, the Hon. Mark A. G. Brantley is currently in Mexico attending the 36th session of the United Nations Economic Commission for Latin America and the Caribbean (ECLAC) which runs until May 28 th , 2016. Minister Brantley, who currently serves as Chairman of the Caribbean Development and Cooperation Committee (CDCC), a subsidiary of ECLAC, in presenting the report on the work of the Commission in the Caribbean highlighted a number of critical challenges faced by the subregion, and the initiatives taken to address them. Among the challenges cited were: high public debt, threat to correspondent banking through the “de-risking” phenomenon, the inability of some countries to adjust to trade and market liberalization under the World Trade Organisation, lack of competitiveness and poor export performance, the high cost of electricity, the region’s heavy reliance on fossil fuels, vulnerability to climate change, ageing of a significant portion of the population, and assistance for countries to implement the 2030 Development Agenda. Minister Brantley commended ECLAC for using the intergovernmental process to undertake the necessary work to address the challenges confronting the subregion and its support for building capacity for risk assessment and resilience building in member States, critical to ensuring effective participation for and response to disasters in the subregion. 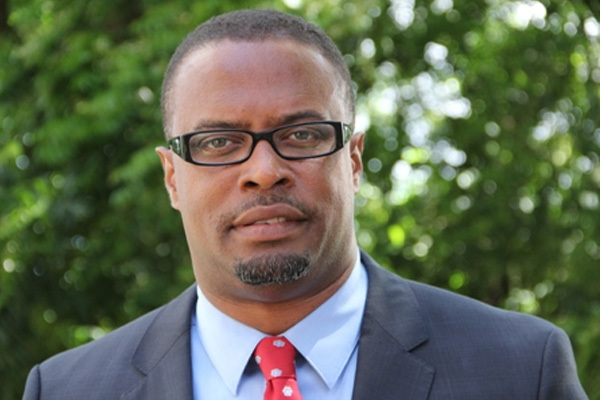 Minister Brantley assumed chairmanship of the CDCC at the recently held meeting of ECLAC at the St. Kitts Marriot, 21-22 April. At this session in Mexico, he was also elected by acclaim to serve as Vice Chair of the Bureau of UN/ECLAC. His term will end in 2018.